Lilly Place (with bag) and Lisa Overy help clean up Interstate 70 during last year's Community Pride Highway Cleanup near Wolcott. This year's event is Saturday, May 5. EAGLE COUNTY — Unwanted trash accumulates along local roads and rivers during the winter months and becomes visible once springtime returns. Now that the snow is melting, it’s time to clean the closets, garages, basements and yard and lend a hand in picking up trash around the community. Here’s a list of upcoming community cleanup and bulk trash pick-up days that have been scheduled throughout the valley in April and May. Information on additional cleanup days will be posted as it becomes available. • Dirt Bag Paddlers River Clean-Up — The Dirt Bag Paddlers will host their annual river paddle and cleanup day on Saturday, April 14. Boaters are asked to meet at the Shoshone boat ramp on the Colorado River in Glenwood Canyon at 9 a.m. The Eagle River Watershed Council will host its 18th annual Community Pride Highway Cleanup from 9 a.m. to noon on Saturday, May 5, followed by a free thank-you barbecue presented by Vail Resorts at the Broken Arrow Restaurant in Arrowhead from noon to 2 p.m.
Each year, more than 10 tons of trash collects along roadsides in Eagle County. 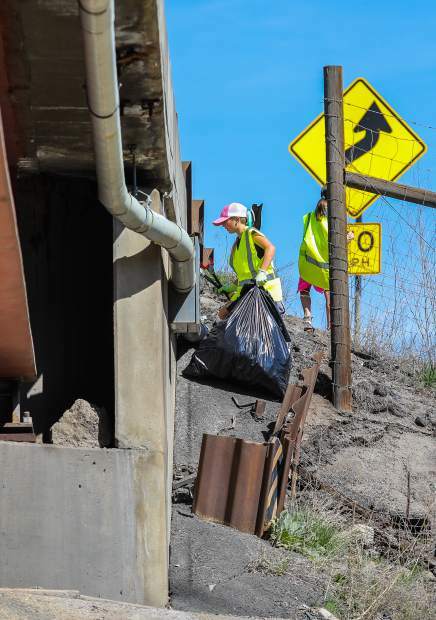 More than 950 volunteers will pick up trash from nearly 140 miles of Eagle County roadways (Interstate 70 and Highways 6, 24 and 131). Local businesses, organizations, families and friends form teams, each responsible for cleaning a one- or two-mile stretch of road. The after party will feature live music from Hardscrabble, beer from Crazy Mountain Brewing Co. and food from the Arrowhead Alpine Club, as well as free gifts and the chance to win raffle prizes. The highlight is the Golden Toilet Seat Award given to the team that collects the most unusual piece of trash. Call 970-827-5406 or email pleimling@erwc.org today to become a team leader or to join an existing team. • Avon — The town of Avon will host Town Clean Up Week, Monday, May 14, through Friday, May 18, with Town Clean Up Day on Thursday, May 17. Disposal of qualified items is free, and qualifying items include most used appliances, furniture, yard waste, regular garbage and other items routinely accepted at the landfill. Public Works will collect these items from 8 a.m. to 5 p.m. Monday through Thursday and 8 a.m. to 2 p.m. Friday. To initiate a pickup, call Avon Public Works at 970-748-4100 and leave a message with the items requiring disposal and requested pick-up date, and place the items curbside. Please note that some items do not qualify for this program, including tires, construction debris, hazardous and toxic waste (e.g., paints, motor oil, batteries, etc. ), fluorescent light bulbs, refrigerators and freezers. Contact Eagle County 970-328-3470 for disposal methods of these items. • Eagle — The town of Eagle will host Eagle Community Clean-Up Day on Saturday, May 12. Deposit unwanted trash and recyclables in the appropriate dumpsters behind the Capitol Theater in Eagle Ranch Village starting at 8 a.m. There will be no collection of e-waste or hazardous household waste at this event. The Eagle Ranch Association and the town of Eagle in cooperation with the Eagle Chamber sponsor eagle Community Clean-Up Day. To volunteer or for more information, call 970-306-2262 or email info@eaglechamber.com. • Gypsum — Gypsum will host its Community Cleanup Day on Saturday, May 19. Residents can bring unwanted items to the Sports Complex parking lot from 8 a.m. to noon for free dumping with proof of residency (P.O. boxes do not count as proof). Dump loads will be accepted as long as vehicles are in line by noon; after that, loads will be directed to the Eagle County Landfill. Staff and community members will meet at the Sports Complex baseball field at 8 a.m. for the town’s roadway cleanup. Gloves and trash bags will be provided, and volunteers will be treated to doughnuts and coffee before they are teamed up and dispersed through town. Following the cleanup, the town will provide lunch at the baseball field. For seniors and people with physical disabilities only, the town of Gypsum staff will also provide curbside removal of waste items within the town limits. To schedule curbside removal that morning, contact Town Hall at 970-524-7514 by 3 p.m. Friday, May 18. Click on the “Events” tab at town ofgypsum.com for more information and a list of acceptable items to dump. • Minturn — Town cleanup day in Minturn is Saturday, June 2. From 7 a.m. to 12:30 p.m., the town will provide large dumpsters at the Little Beach Park upper parking lot for disposal of most unwanted items and materials. Batteries, tires and refrigerators will be accepted at no cost. For senior assistance or assistance with large items, call 970-827-5645 prior Friday, June 1, to schedule a pickup. No paint or hazardous waste accepted. • Vail — The town’s annual cleanup day is Sunday, April 29, with check-in beginning at 9 a.m. at Donovan Park and a free post-event barbecue at Donovan Pavilion. 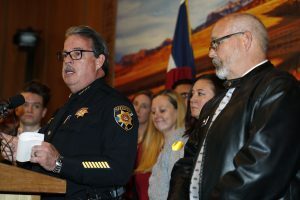 As in the past, the first 100 participants will be awarded $25 to be distributed to one of many area nonprofits approved by the Vail Town Council. Individual participants and groups are asked to contact the town in advance to make arrangements to participate. To preregister, email cleanupday@vail gov.com or call 970-479-2333 and indicate how many volunteers will be participating, the nonprofit recipient and any dietary considerations. Vail also will host a pair of pick-up events in coming weeks for large and hard-to-recycle items. Funding for these events comes from fees generated through Vail’s Kick the Bag Habit program. Large item residential pickup is on Friday, April 27. The town will offer free collection, by appointment, of large items in Vail’s residential neighborhoods from 8 a.m. to 3:30 p.m. This includes tables, shelves, chairs or other items too bulky for regular trash collection. Ineligible items include couches, mattresses, refrigerators and freezers, tires and hazardous waste. As a reminder, Eagle County residents may dispose of as much as 1,600 pounds annually for free at the Wolcott landfill. To make an appointment or to inquire about acceptable pickup items, call the Public Works Department at 970-479-2158 no later than noon on pickup day. Hard-to-recycle items, Friday, May 11: The town is offering a free collection event for residents, property owners and those employed within Vail from 10 a.m. to 3 p.m. Friday, May 11 at the Ford Park Parking lot. This event includes the collection of electronic waste (computers, TVs, phones, screens, printers, etc. ), household hazardous waste (cleaners, paints, fuels, chemicals, etc.) and paper shredding (documents needing secure destruction). Ineligible items include smoke detectors, fire extinguishers, ammunition, explosives, biomedical waste, sharps, tires and biohazards. 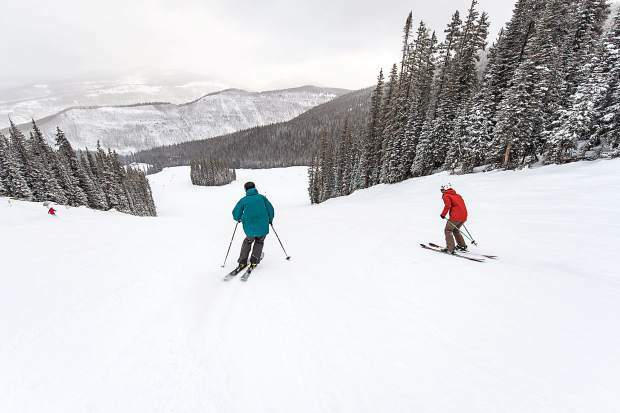 Participants must bring proof of Vail residency or employment within Vail to qualify for the service. Charges may apply for excessive amounts of materials. For questions, call the town’s environmental sustainability office at 970-479-2333. To learn more, or if you have questions about items not listed, visit love vail.org or contact Mark Hoblitzell, the town’s environmental sustainability coordinator, at 970-479-2333.